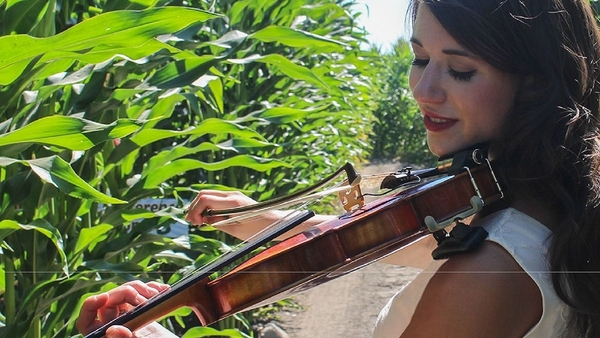 Trad Matters: Fresh off of her tour with global sensation Gaelic Storm, fiddler Katie Grennan has just released her second solo fiddle album, entitled The Second Story. On the recording, Katie weaves together original compositions and classic tunes to produce a mix of both modern and traditional. The Second Story also features multi-instrumentalist John Williams (original box player with Solas), guitar players David Curley and Jimmy Moore, cellist Dave Eggar, and several other luminaries of the folk tradition. The album is an homage to Katie’s unique background as a fiddle player and Irish dancer playing to large crowds at sold-out venues, at feiseanna (Irish dance competitions), and at intimate sessions in local pubs. "Creating this album was a musical journal for me," she says. "I recorded it over the course of a year, and each track symbolizes a certain memory or experience. I really enjoyed collaborating with musicians in the studio that I’ve also shared moments with in the corner of pubs or on the stage. I am grateful that I had the chance to memorialize a period of my life with them by recording the album." The first track showcases three original tunes that reflect both Katie’s experiences touring the world as a musician with the Trinity Irish Dance Company, as well as the intimate feeling of playing in her local pub, The Galway Arms in Chicago, which she says feels like an extension of her own living room. The tunes are Mike's Per Diem, The Second Story and Morning Crows of Sendai. 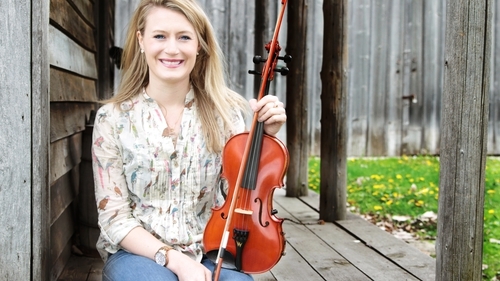 "I wrote this first tune in reference to a situation the Trinity Irish Dance Company band (Brendan O'Shea, Brian Holleran and Paul Marshall) found ourselves in a few years ago in Florida," she says. "The second tune was inspired by the magic I've experienced at the Galway Arms located in Chicago - in this case, on the second floor. I wrote the third tune to complete the set, and the higher pitch is meant to mimic the sounds from the crows the Trinity Irish Dance Company Band (Brendan O'Shea, Paul Marshall, and Chris Kulwin) and I heard when traveling through Sendai on a tour of Japan in 2016." Each track honors a special memory, from reimagining old tunes with friends at an after-hours session, to playing alongside her idols, fiddlers and composers Liz Carroll and Maurice Lennon. The Second Story concludes with five tracks that serve a dual purpose for both listeners and dancers, as they are set to the competition speeds mandated by An Coimisiún Le Rincí Gaelacha — the world’s oldest and largest governing body for competitive Irish step dancing.